Board members are nominated and elected by the majority of the WA advisors for a one year term. 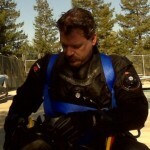 Josh Russo is an active member of the Northern California dive community for the last 10 years Josh is on the board of directors for Diving For a Cause, an administrator on norcalunderwaterhunters.com, a member of the Solano County Dive Rescue Team and also does volunteer work with several other organizations that help people recovering from substance abuse. 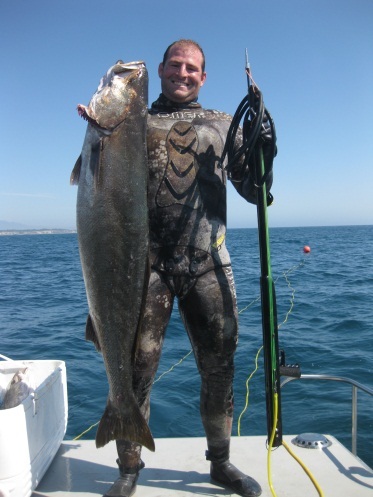 For the last six years has Josh has been sharing his passion for the ocean with new divers as an assistant scuba instructor and licensed guide for spearfishing and abalone diving. 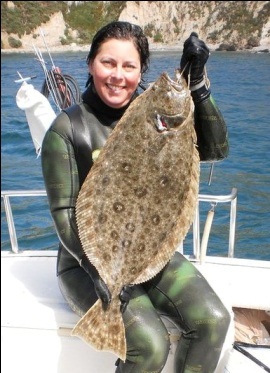 He also created a “mentor thread” on NorCal Underwater Hunters that helps new divers find an experienced diver that can teach them how to understand the regulations, dive safely and hunt effectively. Brandi Easter; was inspired by Bob Humphrey and Randy Fry, Brandi has been involved with issues related to the marine resources since 1998 -1999. She served as a Marine Life Protection Act (MLPA) Regional Working Group member 2001-2002 then served as a Regional Stakeholder Group member in the final implementation of the MLPA for the North Coast region 2009-2012, representing the recreational (consumptive) diver in both cases. 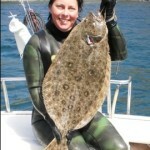 She has been a SCUBA diver for over 25 years and a free diver/spearfisherwoman for over 20 years. She also enjoys kayak angling and kayak crabbing. Brandi is a professional commercial advertising photographer. 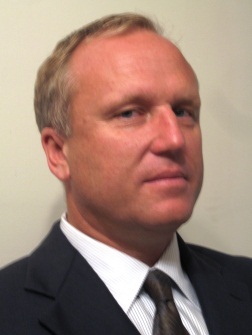 Volker Hoehne has 27 years public policy experience worked on issues such as implementation of wild pig hunting tags, environmental mediation, the Marine Life Protection Act, Red abalone management, Economic development of silicon valley. His experience serving as Chairmen of Humboldt Mediation Services, VP San Diego Council of Divers, Joint Venture Silicon Valley Network, and the Sierra Club LP Give him a inclusive understanding of environmental interests . 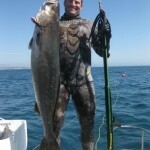 36 years of diving experience gave Volker spear fishing adventures in every California coastal community. He also enjoys SCUBA diving, and deer hunting. 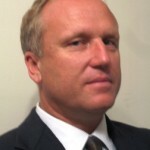 Volker provides market and financial analysis for fortune 100 companies such as Hewlet Packard, Sempra Energy, and Eastman Kodak. tuna record still stands. In 1995, Terry published his first book, BlueWater Hunting and Freediving. This book is richly illustrated with pictures and stories from Mexico. Several years later he published his second book on the subject of freediving Freedive. Terry studied marine biology in his undergraduate work at the University of California. He holds 3 advanced degrees, Doctor of Dental Science from University of the Pacific, Resident in Oral Surgery from the University of Southern California and Masters of Business Administration from Pepperdine University. 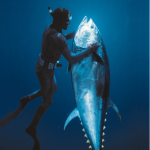 His 1992 video, Bluewater Hunters for PBS has been viewed by over 25 million people and has helped introduce the sport of bluewater spearfishing to the world. His diving has been featured in such publications as Sports Illustrated, American Airlines magazine, The Miami Herald and the Los Angeles Times. He lectures nationally using his slides and video presentations to educate those interested in the adventure of bluewater hunting and marine resource conservation. Terry is the director of the International Blue Water Spearfishing Records Committee an organization that documents and maintains world records for blue water species taken freediving. It is affiliated with the Underwater Society of America. Maas is an accomplished videographer. 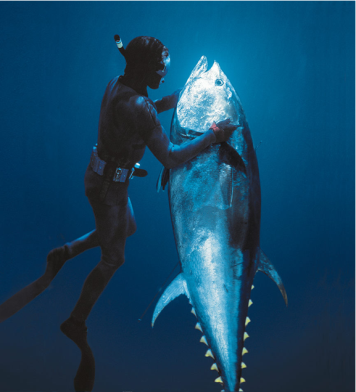 His rare footage of wild yellowfin tuna taken at Socorro Island is displayed in two sections of the Monterey Bay Aquarium open water exhibit. He has produced two commercial videos, The Joy of Freediving and Freediving Made Easy. November 08, Terry captured video of marlin, sea-lions and whales all attacking bait balls of sardines off the coast of Baja California, Mexico. The footage is available on YouTube: http://www.youtube.com/watch?v=B2kQF7eWkIs . This production won the first place in the 09 amature video competition at the Our World Underwater film expo 2009 and was featured at the Boston Sea Rovers Evening film exposition. Terry loves to document the underwater world on still film and in magazine articles. His recent article documenting the natural history of manta rays was the featured as the front-cover exhibit in Mexico Desconocido (July 2002). 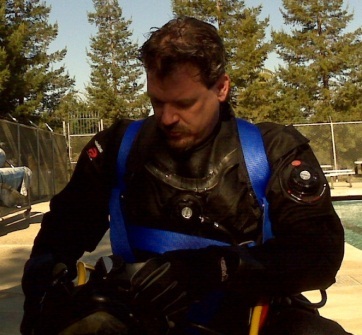 His articles and photographs have been featured in such US magazines as Sport Diver, Skin Diver, Scuba Times, Western Diver and California Diving News. Internationally, his articles appear in Sterne (Germany), Focus (Italy), Dive New Zealand and Australian Freediving and Spearfishing News. In 2000, he was inducted as a fellow into the Explorers’ Club of New York. Nicholas DuMong was born and raised in Santa Barbara, CA. His father instilled an early appreciation for all aspects of ocean activities. His earliest memories include fishing from the family boat, getting pushed into waves and strapping on a mask and snorkel to explore the local reefs. These activities lead to his exploration of the California coastline from northern California through the Baja peninsula. After high school Nicholas attended UC Santa Barbara, where he received his degree in Aquatic Biology. Currently, Nicholas is employed in the property management field and is the president of the Santa Barbara Freedivers Club. He finds every opportunity to get out in to ocean, either on his boat or just sneaking in a shore dive. Given the choice there is no way he would rather spend his day than stalking through the kelp forests in search of white seabass or climbing up under a ledge to grab some lobsters for a friends and family BBQ. He thinks the best part of the waterman lifestyle is the tradition and community that we have created and being able to share the rewards of his diving with others. Nicholas looks forward to passing on the ocean traditions that he was raised with to the next generation of watermen. The WA advisors are nominated by and voted in by the majority of current Advisors “the Call” members.